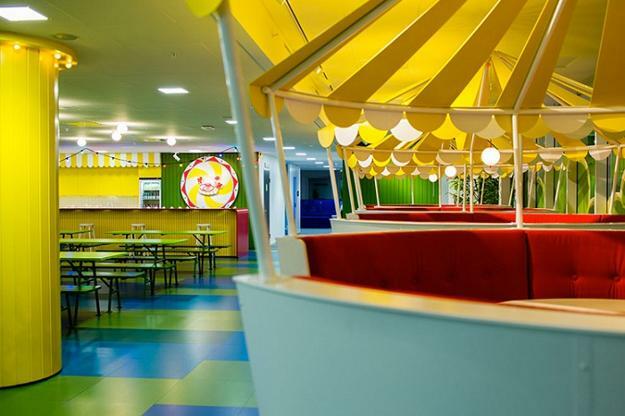 Colorful office design ideas create truly amazing work spaces for people in King company. 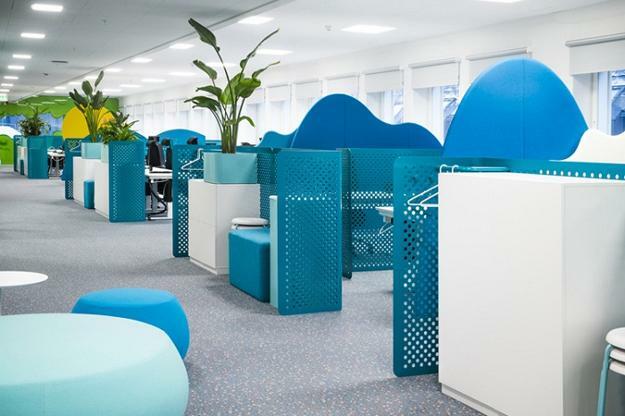 Bright interior colors and dynamic images, modern office furniture and spacious layout are used to bring positive energy into modern interior design and increase productivity while creating pleasant work spaces for employees. Lushome presents this ultra modern office design in Sweden. 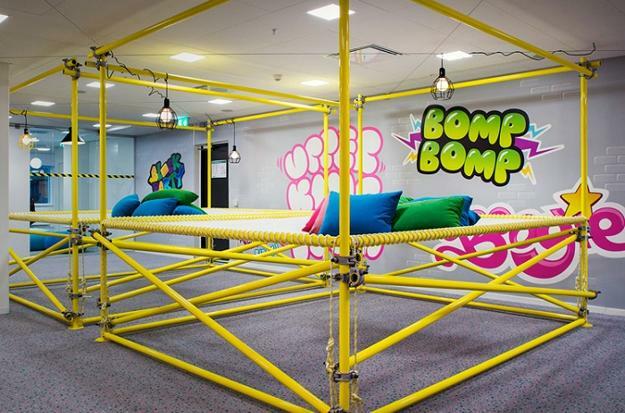 This office design is incredible and playful. 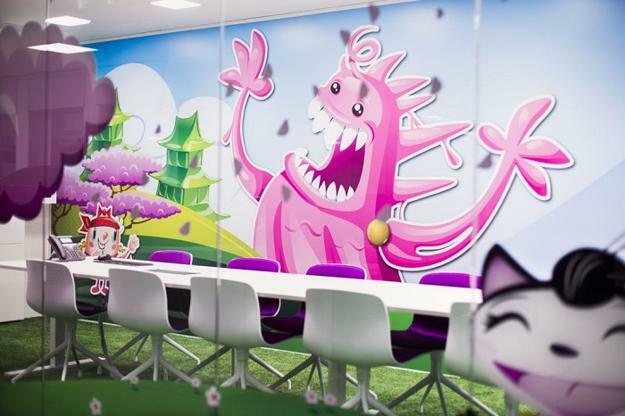 Huge pink trolls, bright lighting and exciting interior colors turn work spaces with cartoon characters into a playground for creative adults. The creative, light and fun atmosphere of places to play games is designed by Swedish firm Adolfsson & Partners. The office design is inspiring. Many various decor themes can be used for kids room design, family rooms and kids playroom ideas. The company created 10 King games and decor themes which include the deep ocean, countryside, treasure island, green hills, magic forest, sand dunes, mountains, wild jungle, Kingtown and park pavilion. 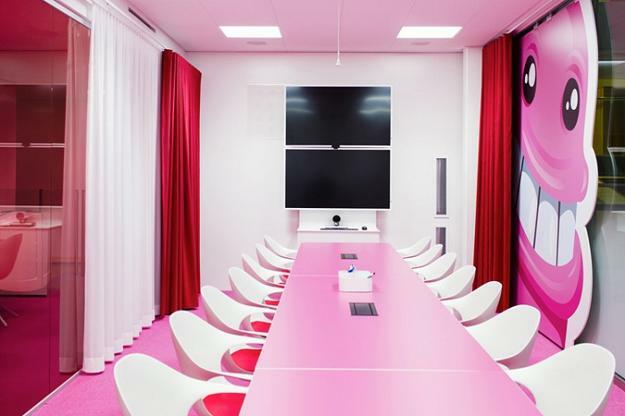 The office design features spaces for brainstorming and meetings with colorful wall murals, and individual cabins that are comfortable and stylish. 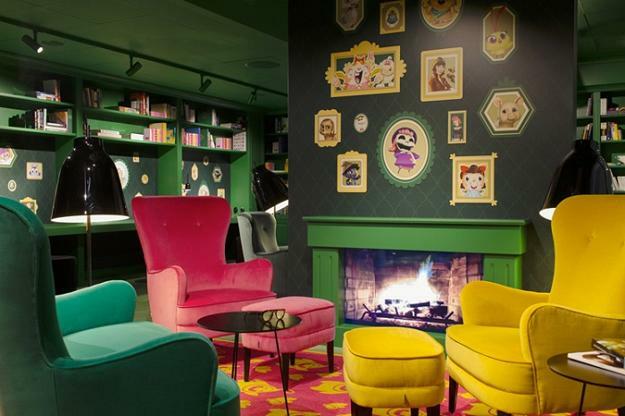 Meeting rooms vary in sizes, demonstrate bold interior colors and feature playful wall murals that enhance the game mood. The working area for the employees is jazzed up with bright lighting and interior colors, creating contemporary fun work spaces for employees. There are many fabulous design ideas in this office that can be altered and used for home decorating.